Lupita Nyong'o attends the the Versace fall 2019 fashion show at the American Stock Exchange Building in lower Manhattan on December 02, 2018 in New York City. Lupita Nyong'o injected some shine with a pair of gold dangle earrings. Lupita Nyong'o looked cool with her multi-braid 'do at the Versace Pre-Fall 2019 show. 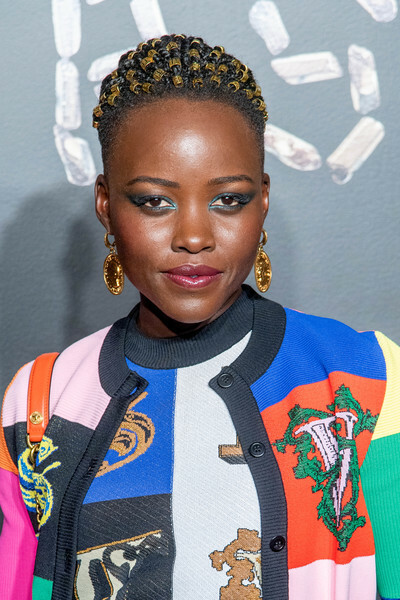 Lupita Nyong'o prettied up her eyes with a swipe of jewel-tone shadow.